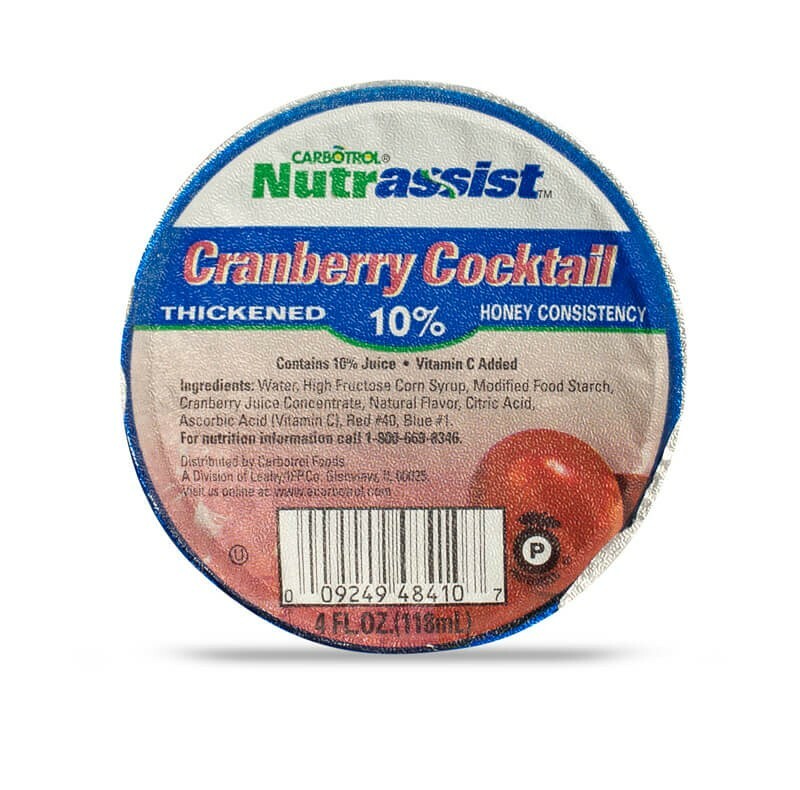 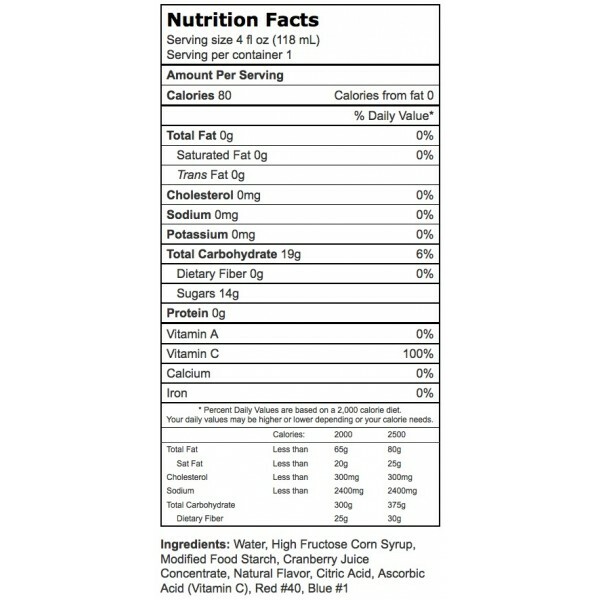 Tangy and sweet, with a refreshing tartness, Nutrassist 4oz 10% Cranberry Cocktail Juice Thickened Beverage – Honey is a perfect choice for any care-giving needs or dietary restrictions. 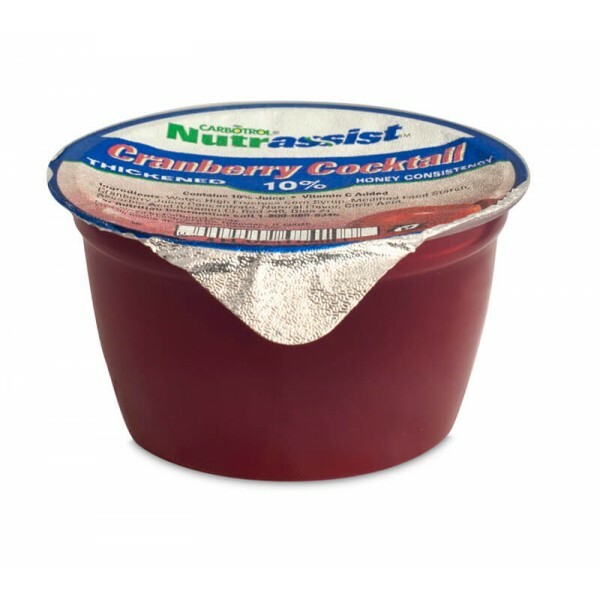 This smaller size comes in a case of 48 – 4oz single-serving, portion control cups and needs no refrigeration until opening. Honey-consistency will coat the sides of a glass or back of spoon; it is slightly thicker and somewhat less-concentrated than nectar-consistency.